Revalidation is a new area to all concerned and there may be queries that are not answered through our FAQ’s. The following Revalidation FAQs for NIMDTA trainees have been adapted from London Deanery information. 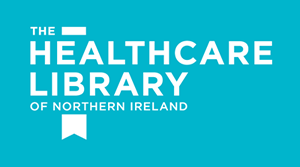 If you find your query is not answered in our FAQ’s please email revalidation.nimdta@hscni.net. The purpose of revalidation of a Doctor’s Licence to Practise is to give patients greater confidence in the profession and support the individual in maintaining and improving their practice. A Responsible Officer is a senior clinician in a Designated Body who ensures that the doctors for whom they act in this nominated capacity, continue to practice safely and are properly supported and managed in maintaining their professional standards. This is the organisation that a licenced doctor has a professional, educational or employment connection with that provides them with support for revalidation. 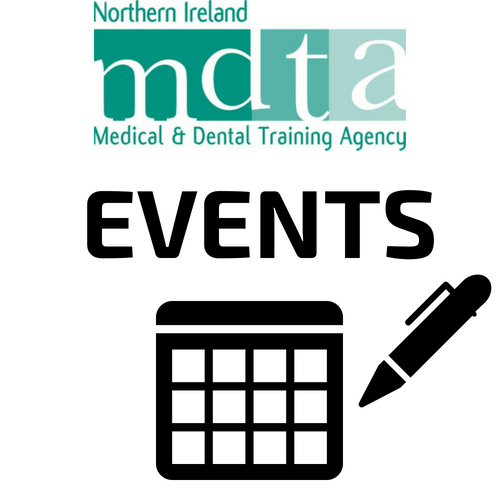 Your Responsible Officer (RO), as a postgraduate trainee in Northern Ireland, is the Postgraduate Dean at NIMDTA, Prof Keith Gardiner. How will the GMC know who my “Designated Body” is? This will be confirmed through your completion of the GMC Trainee Survey. Your designated body is your Deanery. What do I need to do for this process? You will already produce much or all of the evidence required for revalidation as a matter of course during your training, through meeting the requirements of your curriculum and periodic discussions with your educational supervisor. All trainees will need to complete an Form R. The Form R is the document that all trainees sign annually, and this enhanced version requires you to answer questions about whether you have been involved in any complaints or investigated serious incidents / significant events over the last year. You will need to send this form back to the appropriate Deanery person when you first enter the training program and prior to ARCP each year. In relation to completing the Form R, what is a significant event? The GMC state that a significant event (also known as an untoward or critical incident) is any unintended or unexpected event, which could or did lead to harm of one or more patients. This includes incidents which did not cause harm but could have done, or where the event should have been prevented, which is significant enough to be investigated by your employing organisation. It is an expectation that all doctors as part of the requirements for revalidation are required to record and reflect on significant events in their work with the focus on what they have learnt as a result of the event/s. The Form R asks for the last revalidation date, what should I enter? This field is to capture those trainees who have already revalidated previously and will not be used until your first revalidation has take place with the GMC. Until that time you should leave this blank. The GMC has indicated that your revalidation date will be set to your expected CCT date or to 5 years after revalidation commences (expected to be April 2013), whichever is first. Put that date on your form. All trainees who revalidate at 5 years, will revalidate again at CCT. For trainees who gain full registration with a licence to practise after December 2012, their revalidation date will be set to 5 years after full registration (or to your expected CCT date where this comes first). Where can I find the GMC programme approval number and/or Deanery Reference Number/National Training Number? This information is completed by the Deanery. For the GMC survey this information will be provided to you through the survey from the information provided by the Deanery direct to the GMC. Your employer will be supplying information to the Deanery in order to inform the revalidation process through your ARCP. This is called an exit report and asks the employer about any unresolved concerns about a trainee’s conduct. If there are concerns ongoing the employer should complete an exception report for the Deanery and provide the trainee with a copy. An exit report will be generated for every episode of employment since the last ARCP, and it is the employers’ responsibility to produce this. A failure of an employer to produce adequate information should not be detrimental to the trainee. In the case of GP Trainees, where they have undertaken a placement in general practice and been registered on the PCT Medical Performers List, the PCT will also be required to supply information to the Deanery. The employer will be asked to confirm whether you have been involved in a conduct or capability investigation and to provide a brief summary (the Exception report). If so, has this been resolved satisfactorily with no unresolved concerns about your conduct? If there are unresolved concerns, they will be asked to give a brief summary (the Exception Report) and the anticipated date of the outcome of any investigation. If you have been involved in a Serious Untoward Incident (see GMC definition above), whether investigated or not, you should have discussed it with your educational supervisor and reflected on the outcome in your portfolio as part of the normal education appraisal process. The employer will be asked if you have been involved in a formal Serious Untoward Incident/Significant Event Investigation and to provide a brief summary (the Exception report). If so, has this been resolved satisfactorily with no unresolved concerns about your fitness to practice? If you know you have been involved in a complaint you should have discussed it with your educational supervisor and reflected on the outcome in your portfolio as part of the normal educational appraisal process. The employer will be asked if you have been named in a complaint and to provide a brief summary (the Exception Report). Information will be collected twice per year, in February and August after post completion or at an appropriate time that might fall outside these dates. How will I know if I have been recommended or not for revalidation? The recommendation for revalidation to the GMC will occur every 5 years, and again at CCT, or at the point of CCT where this comes first. An ARCP will be held every year and if there are ever any concerns that might affect a trainee’s possible revalidation these will be discussed face-to-face and recorded in the ARCP outcome form. The outcome of ARCP panels should always be passed to the trainee and their employer. You will receive a formal notification of your revalidation decision from the GMC. How is my grace period accounted for? The Dean will remain the Responsible Officer until the end of the period of grace. Who is the Postgraduate Dean responsible for? The Postgraduate Dean is only responsible for Trainees in GMC approved Deanery training programmes and posts. This will include LATs and trainees who are currently out of programme. The Postgraduate Dean is NOT responsible for any locums including LASs, Trust Grade and Staff Grade posts and other non-training grade posts. If I get an outcome other than a 1 in my ARCP does that mean I will not get revalidation? Not at all. It is quite possible to get an outcome 3 or 4 for failure to pass key exams, but unless there are other problems (e.g. conduct or health) it would have no effect on your revalidation decision. What happens if I am absent for a period of time or have a break from my training programme e.g. for maternity leave or out of programme experience; what effect will this have on my revalidation? If you are absent or take a break from the training programme which is approved by the deanery (meaning that you do not give up your training number), then your revalidation date and prescribed connection will remain the same, and you do not need to do anything else. This might include taking up an out of programme training or research post, or going on maternity or long term sick leave. If your revalidation date happens to fall whilst you are out of training, your Responsible Officer will have the option to defer your revalidation. Deferral of the revalidation recommendation does not have any impact on your licence to practise, and is not a detrimental judgement. As part of my training I have developed competencies in other specialty areas. When I revalidate will I be revalidated to take account of these additional areas? As a trainee you will revalidate in accordance with the requirements for the specialty that you are training. Your postgraduate dean, acting as your responsible officer, will base their recommendation on your participation in the Annual Review of Competence Progression (ARCP) process or its equivalent the Record of In-Training Assessment (RITA). Once you have completed training your revalidation will be based on annual appraisals that reflect your full scope of practice. At that point many doctor’s careers spread out to cover areas beyond the specialty they trained in and this in turn will define their revalidation to affirm that they remain up-to-date and fit-for-purpose for their role(s). What is a Serious Incident? What is the difference between a Serious Incident, a Critical Event, a Significant Event and a Serious Untoward Incident? In the past a range of terms – Serious Incident, Critical Event, Significant Event, Serious Untoward Incident – have been used to describe occurrences in health care where harm or the risk of harm to patients has occurred. These terms were used interchangeably by some – however due to individual preferences, certain terms were preferentially used in different settings e.g., clinical governance meetings, root cause analysis documents and the reflective logs of individual doctors. In 2010, the National Patient Safety Agency (NPSA) developed a national framework for the notification, management and learning from serious incidents in the NHS – National framework for reporting and learning from serious incidents requiring investigation. It also unified much of the terminology surrounding such incidents around the term Serious Incident. Why does the Deanery need to be informed? As part of the revalidation process, the GMC now requires all employers to notify the Deanery when a doctor in postgraduate training, on an approved training programme, is involved in an SI. The communication channel is through the Responsible Officer The RO in the employing Trust (Medical Director) will have responsibility for doctors not in postgraduate training – they will also relay the relevant information to the Deanery RO about trainees. As a postgraduate trainee, your Responsible Officer (RO) is the Postgraduate Dean. What does it mean to me as a trainee if I am implicated in an SI? As part of the requirements for revalidation, it is expected that all doctors will record and reflect on serious incidents in their portfolios, with a particular focus on what they have learnt as a result of the event(s). As a trainee you will also need to complete an Form R annually. This will require you to answer questions about any complaints or SIs over the last year. You will only need to record information on your Form R if any formal investigations arising from a SI have not been completed and resolved, or if completed investigations have not been reflected upon in your portfolio. If you been involved in a SI your employer will be asked to provide a brief summary of the SI Investigation. If this has been resolved satisfactorily with no on-going concerns about your fitness to practise and you have reflected upon this appropriately, it will not effect your revalidation recommendation. If there are unresolved concerns, your employer will be asked to give a brief summary and the anticipated date of the outcome of any investigation. Should this happen at the time that you are due to be revalidated then your RO will request a deferment in order to give time for the investigation to conclude. How can ensure that I benefit from the experience of being involved in an SI? 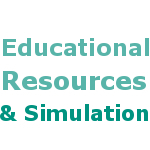 SIs can be powerful learning experiences that can provide opportunity for reflection and learning across a broad range of areas from the specifics of clinical event to aspects of communication, team-working, record keeping and professionalism. It is therefore important to take time to consider any learning needs that might have been identified through an SI and to discuss with your educational supervisor and other colleagues about how to begin to approach addressing these. It is important to incorporate any learning needs into your personal development plan and to approach in a structured, realistic way alongside your other learning objectives. Usually SIs involve more than one person and sometimes whole teams are implicated. Therefore there may well be the opportunity to work together on planning and addressing learning needs. How might being involved in an SI effect my future career? Despite best efforts SIs do happen. One of the reasons to identify them and act upon them is to try to ensure they do not happen again, but unfortunately working in the complexity of health care sometimes unforeseen events and consequences arise. I am a trainee on a team where an SI has happened but I was not directly involved with the patient at the time. What should I do? We hope that you will raise the issue with both your clinical and educational supervisors as well as reflecting upon it in your portfolio – scenarios such as this also have a probity element. Your supervisors will also be encouraged to follow the RO communication channel, as it is only through an atmosphere of openness that patient safety and quality of care can be improved. You might also seek advice from the Head of School, which will be able to advise you further.